Whoever created that trailer seems to be pretty clueless. and they dare reference Dark Angel/I Come In Peace on this retailers ad saying "They do not come in peace"! With Marc Dacascos it's definitely worth checking out. 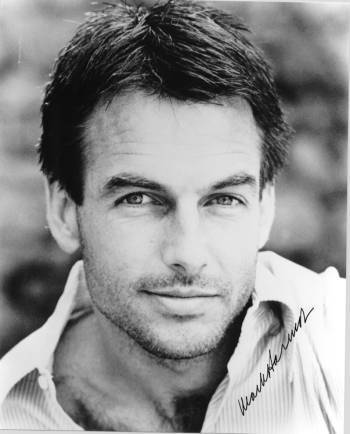 Looks like Mark Harmon to me. Granted, his ALIEN AGENT probably wouldn't have been a breakthrough, but his experience on set design and special effects might have helped make the most out of it (if they didn't keep shrinking the budget and means at disposal, which is why he utimately dropped out if I remember correctly what he told me), while Jesse Johnson was more of an action director when he made the film with Mark Dacascos.